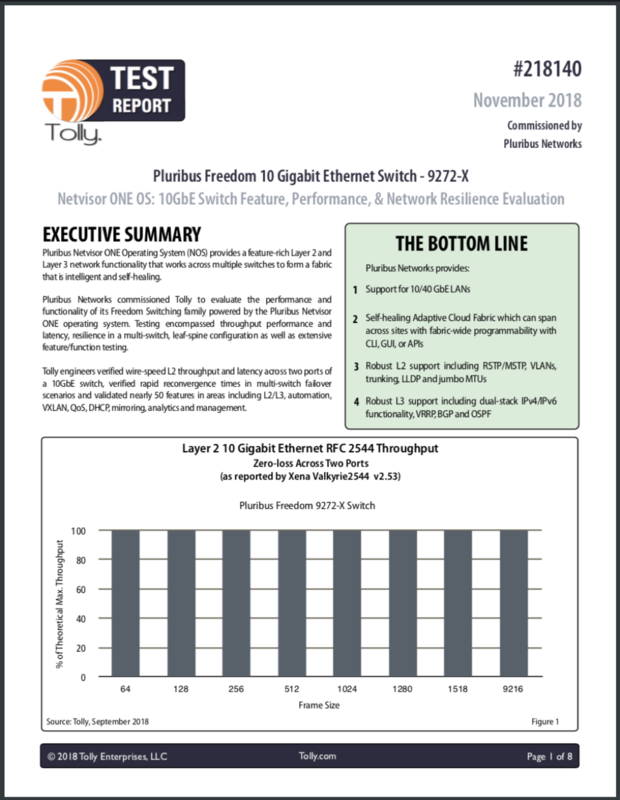 Tolly engineers verified performance, resiliency, and features for Pluribus Adaptive Cloud Fabric 25G & 100G Switches. 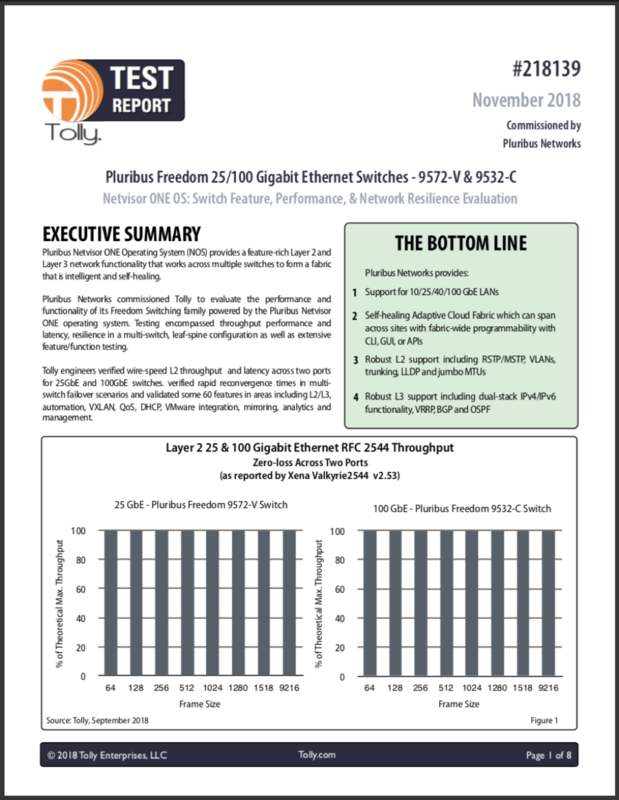 Wire rate performance for 25 and 100 Gigabit Ethernet with low latency. Self-healing Adaptive Cloud Fabric, which can span across sites with fabric-wide programmability with CLI, GUI or Rest APIs. Validated ~60 features for L2/L3, automation, VXLAN, QoS, DHCP, VMware integration, mirroring, analytics and management. Download the report to view additional details.